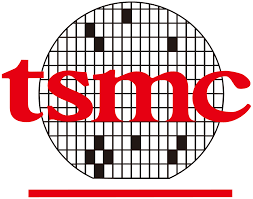 Technology is one of TSMC's cornerstones and we are proud to be associated with TSMC. TSMC has the broadest range of technologies and services in the Dedicated IC Foundry segment of the semiconductor manufacturing industry. The IC Industry Foundation strategy embodies an integrated approach that bundles process technology options and services. GLOBALFOUNDRIES are a leading full-service semiconductor design, development, fabrication and innovation company with locations across the globe. We are proud to be parnered with one of the world’s most inspired companies to develop and produce the semiconductors that are changing the way people live today and defining what’s possible for tomorrow. TowerJazz PDKs offer a front-to-back integrated custom design environment both Cadence PDKs and iPDKs that contain the parameters such as layer thickness and stress gradient that have been well defined within the tolerances of the specific manufacturing processes. We use TowerJazz SiGe, 5V RF LDMOS, BiCMOS, RF-SOI and RF-CMOS technologies that enable high-speed and low-power products in many of our designs for consumer and infrastructure applications. We use state of the art simulation tools and measurement equipment to produce high yield designs and verify them accurately.